It looks like Caltrans thought ahead for this 2002 project. That’s the year the state of California extended the 210 freeway from the 57 freeway to I-15 in Rancho Cucamonga, California. The new freeway replaced Highland Avenue, which became a frontage road. 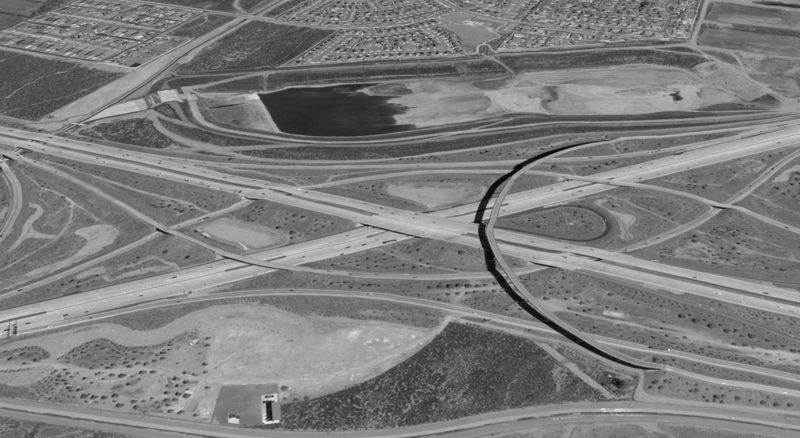 As I explored historic aerial photography on Google Earth, I discovered that Caltrans already knew what the future I-15/CA-210 interchange complex would look like. 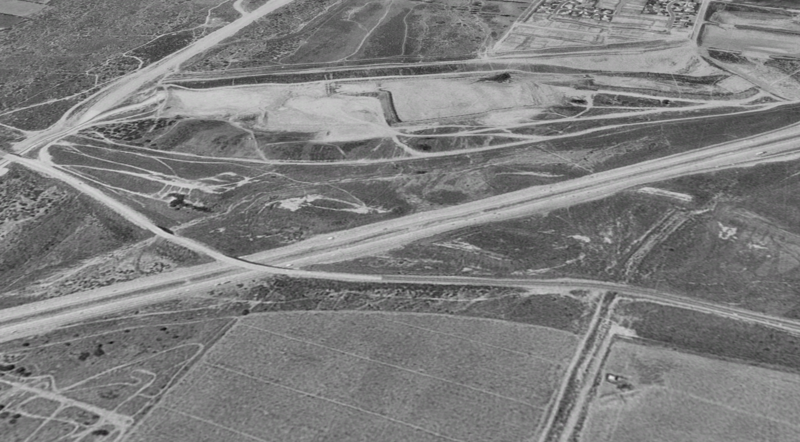 So, rather than building an overpass for Highland Avenue across the I-15 freeway that would later have to be demolished, the agency built the EB to NB flyover and just connected it to Highland on both sides. No waste!